'Where these patented products are beyond the reach of Indian patients, the companies have programmes to facilitate access to their drugs, for free or for a fraction of the price,' points out Ranjana Smetacek, former director general, Organisation of Pharmaceutical Producers of India. Two years ago, the Union Cabinet approved a new intellectual property rights (IPR) policy that was to draw up the road map for intellectual property protection in India. The objective was to unveil a 'Creative India, Innovative India'. The initiative envisioned an India where creativity and innovation would be incentivised by IPR for the benefit of all. It envisioned advancements across science and technology, arts and culture, traditional knowledge and modern technology. It envisioned a nation where knowledge would drive development and knowledge owned would eventually become knowledge shared. This is a lofty and admirable vision, but where are we on realising it? Most certainly, the national IPR policy was also intended to create a robust IP regime as a critical step towards a stronger and more competitive economy. It was meant to 'nurture the IP culture and address all facets of the IP system including legal, administrative and enforcement infrastructure, human resources, institutional support system and international dimensions'. It was ultimately meant to bring about an IP environment that would 'foster predictability, clarity and transparency in the entire IP regime in order to provide a secure and stable climate for stimulating inventions and creations'. We have made some progress on the seven objectives laid down in the IPR policy and extending across the gamut of patents, trademarks, copyrights and designs. We have taken actions to increase public awareness, commissioned technology and innovation support centres, and instituted training programmes in several states. However, there is much we still need to do: Strengthening the legislative framework to respect intellectual property; improving the enforcement and adjudicatory mechanisms that deal with infringements; supporting the generation and commercialisation of innovation; developing human capital to bolster our capacity for research and skill-building. It is important that we recognise IP as a value creator for India, a nation with consistent growth, a highly educated workforce and established research institutions. To extend Make in India to 'Develop in India' and 'Innovate in India', we must build the country's capability for innovation through IP creation, protection, and commercialisation. A robust IP environment will certainly have a positive impact on the Indian economy and encourage foreign direct investment. In the pharmaceutical sector, we need a holistic approach that balances the need for innovation with the necessity for more accessible medicines, within a robust IP environment. There are still numerous unmet medical needs in numerous areas of medicine and, without patent protection, research would come to a halt. There is no question that we must work towards increasing access to medicines, but there must be a return on investment for innovators to justify investing in new medicines. The protection of intellectual property will help bring new solutions for treating patients suffering from critical and rare diseases and new medicines to save and improve lives. We have often heard the mythical argument that patents block access to life-saving drugs, but only five per cent of medicines from multinational companies are under patent protection in India. Where these patented products are beyond the reach of Indian patients, the companies have programmes to facilitate access to their drugs, for free or for a fraction of the price. The biggest barrier to access is the inability to pay out-of-pocket and the lack of insurance cover. 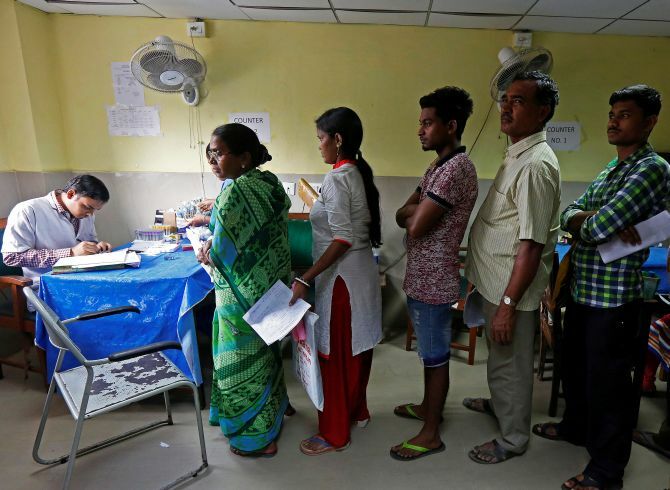 In this context, the Ayushman Bharat initiative is truly commendable, with its ambitious National Health Protection Scheme that intends meaningful health insurance cover for the 40 per cent of India's population most in need. State governments and the pharmaceutical industry could work together on effective drug procurement and distribution models, to meet health care goals and help address the challenges of health care access in India. Pro-innovation policies and increased access to medicines can go hand-in-hand for the benefit of patients. A thoughtful assessment of the IP system needs to be made and legal flexibilities used judiciously, for humanitarian non-commercial use in treating diseases that are epidemic or communicable, with compulsory licensing being invoked only as a rare exception in rare circumstances. We can all agree that ongoing innovation is critical to meeting patients' increasing health needs, particularly in the context of evolving health care systems around the world. India, as a leader among emerging markets, must favour an innovative environment that supports research and the development of new medicines, within India and globally. A strong IPR regime would allow our country to realise its true potential and make major contributions toward tackling health challenges both domestically and around the world. We need to do more, more quickly.